With acquisitions and a good sense of timing Getty Images grew from a small photo licensing business in 1995 to the world’s largest supplier of stock photos and videos. Monday, the company confirmed it is now for sale in an auction to close at the end of the month. Fueled initially by the digital world’s growing appetite for images, Getty Images has become a casualty of the same technological advancements and efficiencies that fueled its growth. When Getty started out, it was the early days of the Internet boom. There was high demand for quality images, preferably at low expense, to suit growing media and corporate needs. Getty Images was the first licensing agency to embrace these changes and serve their content online. Today, they deliver nearly 100% of their content digitally. Getty Images was founded in 1995 but officially formed as it’s now known in 1997 with the merger of Getty Communications and Photodisc. Over the next decade, they grew both organically and through an aggressive content acquisition strategy. In 1999 they bought Kodak’s Image Bank for $183m. In 2004, they swallowed Image.net for $20m. 2006: microstock agency iStockphoto.com for $50m. In 2007, their library swelled with the purchase of Wire Image (via its parent MediaVast) for $207m. They also bought Pixel Graphics for $135m and added music licensing to their portfolio with Pump Audio ($42m). All the purchases, more than half a billion dollars worth, created a diverse, expansive library of content. There are royalty-free photos, stock video, wholly owned images, sound clips, and video clips…something to license for every media need. Getty Images even handles distribution for historic photos from Time/Life and National Geographic. The trouble is, Getty Images can’t outrun the financial shocks of an industry in transition. The company’s stock price was down near 47 percent in 2007. And even without including charges taken for restated earnings (due to stock option backdating troubles), profits are shrinking. The early vision of Getty Images couldn’t have projected digital cameras and social media becoming so widespread that anyone could be a “pro.” But that’s what happened. Cameras are everywhere (cell phones) and the advent of microstock agencies like iStockphoto and Bill Gates’ Snap Village allow any amateur to commercialize their images. Have a camera and a good eye? Travel photo’s from that Safari in Africa? At microstock agencies you can license the pics to websites, companies and media for a few bucks an image. It’s a different world than couldn’t been imagined in 1995, or even 2000. Today, in the evolving media world, just as blogs are influencing journalism and the speed at which news travels, microstock agencies and social photo sharing services like Flickr, are creating a wide chasm between the highest quality of product and the most timely. Anybody can sell an image now, and timeliness and low price will often trump high quality. (Elite pictures still have their niche, it’s just not as big). Getty Images tried to adapt with the purchase of iStockphoto. But that and layoffs of 5% of staff last August haven’t been enough to stop the hemorrhaging. The rates for “royalty free” photos are simply too low, and the sale of higher quality, higher priced images, too low volume to fuel growth. Getty Images has 21 global offices. They offer services in 100 countries and 6 languages. Every month their web sites host 4million or more unique visitors and serve more than 175m pages and 3.2billion thumbnail images. It’s an expensive business to run, especially when the supply of competing product keeps going up. Getty Images’s plight is not all that different from the path of Life Magazine. Once, a venerable star of the media world, Life starting losing its luster as our image needs were satiated first by TV and then, by the Internet. Born of the depression, Life Magazine thrived in the early days of modern media. Back when print was king, radio an upcoming prince, and Television just a fledgling beacon, the image-centric, photograph-laden, magazine became an icon. But time brought us more sources of imagery. Graphic news became ubiquitous and a magazine focused on sharing just a few images couldn’t separate itself from the volumes of information otherwise thrown at us. Life’s last day was April 20th, 2007. Getty Images, like Life, is struggling to separate itself and their content, from the overwhelming volume of images and information available online and inundating our daily lives. If they don’t adapt and find a way to balance the huge demand for imagery with a cost effective and efficient solution, they can’t survive as they currently are. It’s no surprise then, the Getty family, which remains the largest shareholder, probably wants out. It’s not really a shock that Private Equity companies are the most likely buyers either. Demand for imagery is high but Getty Image’s particular business is distressed. Spokespeople are quick to point out: No sale is guaranteed. This won’t be a fire-sale. (For Now). CEO Jonathan Klein was one of the company’s founders. He won’t give away the business but the captain isn’t likely to be going down with the ship either. 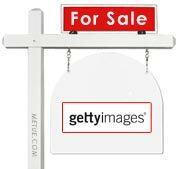 Goldman Sachs and Weil Gotshal and Manges are advising Getty Images on the possible sale. Getty’s days as a public company are numbered. Early estimates suggest it could sell for around $1.5b. Earnings are scheduled to be reported January 31st. Expectations aren’t high.